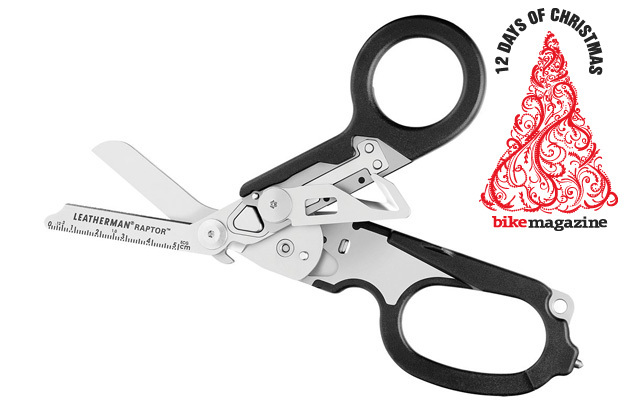 It’s Day 3 of our 12 Days of Christmas Gift Guide and I know what I’m getting my wife for Christmas–medical shears. I am nothing if not a romantic. Seriously, what else am I going to buy her? Lingerie is simply a man’s gift to himself, she already has a thermos mug for that commute to work and I bought her The Ultimate Bruce Lee Collection on DVD last Christmas…. The Leatherman Raptor is simply the next logical step in the gift-giving progression. 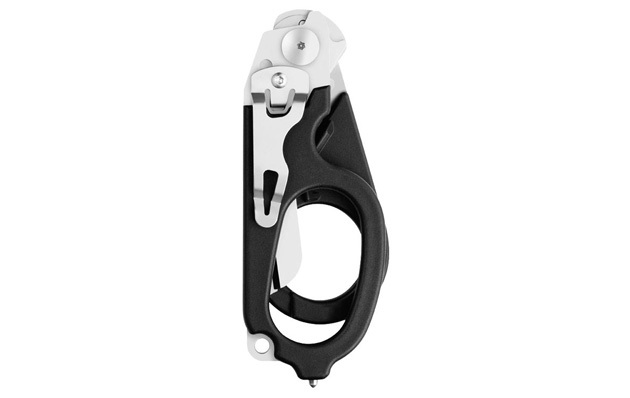 I’ll just quote from the Leatherman catalog–the obvious romantic overtones will leap off the page. Here we go…. The Raptor folds into a very compact package. Tucking a pair of professional-grade medical shears into your dress or purse has never been easier! Brilliant, right? Nothing says “I love you” like a pair of folding, stainless steel medical sheers with a carbide glass breaker and an oxygen tank wrench. Trust me on this. For more info on the Leatherman Raptor, CLICK HERE.